I grew up in a single parent household with my mother and grandmother, my experiences with health care primarily consisted of the occasional visit to the doctor’s office. I was healthy growing up and almost never got sick, but when I did my mother made it her priority that I saw our family doctor. My household would be classified as low income, but these doctors visits were always covered by my mother’s insurance plan through her employment and usually came with a small copay. These experiences at an early age shaped my views of the health care system and because of my experience, I assumed everyone had access to affordable healthcare and the low cost of our copays gave me the impression that health care was affordable. These realities made it difficult to fully understand the privilege I was given in being able to access health insurance. I didn’t appreciate this luxury until an experience I had when I was 17 years old, nearly finishing my senior year of high school when I was shot through the neck as I was leaving a local high school party. I quickly realized how easy it was to become a victim of the gun violence that exists within the communities of South Los Angeles. I’m an extremely passive person and had done nothing to initiate or cause this. Nonetheless, I found myself in a situation where I was literally praying and hoping to live and see another day. I’ve always been aware of the gang violence that has persisted within my community. You hear the stories and sometimes see the yellow caution tape from recent incidents, but it’s a different when the situation actually happens to you. I went on to spend the next 9 days in the ICU of Long Beach Memorial hospital where I began the long and treacherous recovery process to relearning how to swallow and regaining strength in my speech. Months after the incident, I received mail from the hospital that detailed the list of expenses I had acquired. You should’ve seen the look on my face when I realized I had racked up $97,000 in medical expenses. My heart sunk, but I was reassured when my mother told me the majority of these expenses would be covered by our health insurance plan and what remained would be picked up by the Crime Victim Compensation, a government program that reimburses victims of violent crimes. Looking back, I’ll never take for granted the importance and the privilege that is associated with having access to affordable health care because being from my neighborhood you realize that anything can happen at any time and you never know what the future holds. I firmly believe that all people regardless of financial standing should have access to affordable health care, but at this very moment many of our political leaders in the House and the Senate are working to repeal the Affordable Care Act, a health care plan that insures millions of young americans who otherwise would not be able to afford access to healthcare. Under the Affordable Care Act, our state was able to expand Medi-Cal (our Medicaid program), and it now covers 13.5 million people, one out of every three Californians. The current proposal under consideration by the Senate, the Better Care Reconciliation Act, would fundamentally end the Medicaid program as we know it by putting a cap on Medi-Cal enrollees’ health care. Combined with cutting the program by $772 billion over the next decade and ending the expansion, these changes will force California to kick people off of Medi-Cal, ration enrollees’ benefits, and narrow access to providers. Though the ACA has opened up care for so many people, my home city of Compton still faces a 22 percent uninsurance rate. Repeal efforts would further limit access to care of people who come from my community and I too would lose access to health care if the Affordable Care Act is repealed. We need to build on the progress of the ACA, not reverse it, to make people healthier and build stronger communities. 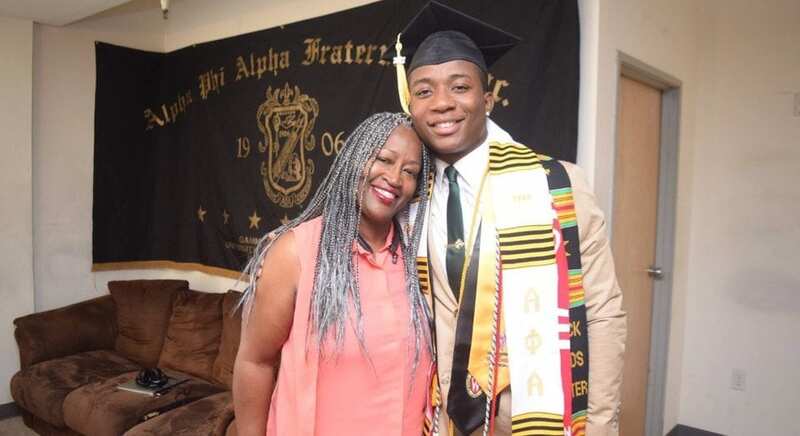 Oseghale (Oh-Say-Guh-Lay) Ituah is a 22 year old Southern California native hailing from the city of Compton, and recent graduate of the University of Wisconsin – Madison where he studied Biology. He is currently interning as a Community Organizer for Young Invincibles in our Los Angeles office.